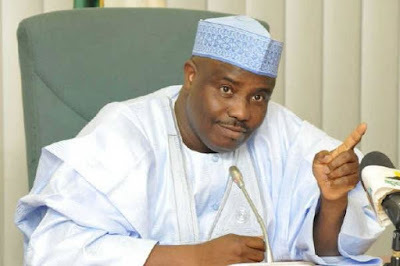 Governor of Sokoto State, Aminu Waziri Tambuwal, has said that the north wants restructuring like any other part of the country contrary to the general belief that the North was against it. Speaking as chairman at the ongoing 2-day conference on “The North and the future of the Nigerian Federation,” organized by Arewa Research and Development Project, ARDP, in Kaduna Wednesday, governor Tambuwal observed that the idea that the North was against restructuring because it benefits most from the current state of things is patently false. He explained, “The fact that some people continue to parrot such a lie only help to give credence to the flawed argument. Let us be clear: the North wants restructuring as much as anyone else. However, as a people we do not easily jump unto the bandwagon because we are always there for the long haul. We believe that any decision we take must be inclusive, and respect procedures and processes so that the outcome is sustainable. “Only recently, the Northern States Governors’ Forum and Northern Traditional Leaders Council Committee on Restructuring of the Nigerian Federation which I chair inaugurated a technical committee reflecting the amazing diversity of Northern Nigeria to look at the issues surrounding the call for restructuring and get the aggregate views of the North and present same to the committee for use during the proposed Town Hall/Public Hearings across the 19 Northern States. "We have ensured that the technical committee members are personalities who have proven themselves in various fields, people with the intellectual ability and experience to contrast, aggregate and analyse the views of the North and how they impact on the growth and development of this country. “I think we should first, as a country, agree on a mutual definition of the term restructuring. In my view, if restructuring means taking stock of our arrangement to ensure that no state takes a disproportionate amount of the resources, or most of the available space in the education or job sector, or subjugate the others’ culture or religion, or lords it over the other so that the number of the poor and uneducated whose future is circumscribed by their circumstance is shared proportionately, then we are game. "We all want a country where there is peace and progress, where justice is a given, where all lives are safe and people can pursue their legitimate livelihoods wherever they choose. I believe each state in this country has areas of comparative advantage and life is a cycle so that what was once the largest revenue earner can in time become less so while something else takes ascendancy. “I am glad to see that the organisers have noted the critical role that education must play in any part that the North eventually chooses to take. The truth is that the modern world is one that puts premium on human capital rather than natural resources. The development of that capital therefore must take precedence over anything else we want to do as a people. He assured the participants that the outcome of the conference would form a critical part of the aggregate views of Northern States on restructuring, adding that it will be useful to the region’s current effort at ensuring that it does a thorough job on behalf of the people. Tambuwal called on everyone who has any view on the matter or any suggestion that would make the great country move forward and strengthen its unity to come forward and express those views. The convener, Dr. Usman Bugaje, said the main objective of the conference was to bring clarity, accuracy and precision to the debate on the future of the Nigerian Federation. He added that the conference was also meant to get experts to guide the North in identifying its priorities as it goes into the debate and negotiations. “The North has a history and has come a long way, sharing values and aspirations and has therefore a collective responsibility to chart its future together. "In this respect, it is important to say that the knowledge generated in this conference will feed into the committee of Northern Governors and Traditional Rulers,” he explained.